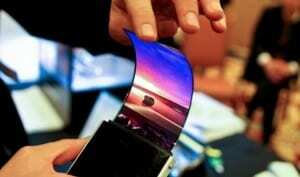 A few months ago, everybody was talking about the Galaxy Note 3 being the first device to carry a Super AMOLED flexible display. We’ve seen the technology at expo shows, but it hasn’t been put into action just yet. In time however the rumors faded and no more flexible display was expected from the Note 3. A report from a Korean website, MT Media, brings back the old rumors to life. Apparently Galaxy Note 3 might come with a flexible display after all. According to the report, the production should start in August and the flagship could be announced at the end of September, though it is unlikely for this to happen. One thing that might happen with the Note 3, is to come with a flexible display but under a solid cover. This means you will not be able to bend it, but it will still benefit from the unbreakable quality and so on. Samsung might want to make this move with their latest Note device. The Galaxy S4 was a disappointment from the hardware innovation perspective. Expect for the incredible hardware power and the new features, it is just like any other Samsung smartphone launched in the past years. An innovative Galaxy Note 3 with a flexible display could really position them in a favorable spot in front of the competition. We already know LG is preparing their own similar device, and other manufacturers already have smartphones in the ‘XXL’ category that can easily compete with the Note 3. Something like a flexible display could really turn customers towards Samsung though.